You are here: Home › Salut! 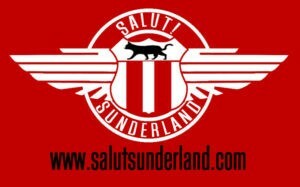 commentary › Sunderland and the transfer window. How did we do? Sunderland and the transfer window. How did we do? 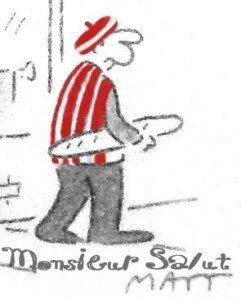 As I write, with a few hours to go, the transfer window has been a damp squib for Sunderland. Maybe we’ll get Ross McCormack from Aston Villa. Maybe we won’t. Maybe there’ll be other signings, the timing smacking of desperation, the likely cost making us look a little League Two-ish. Papy Djilobodji is confirmed as Dijon-bound on loan. Wahbi Khazri may end up leaving, too, also for a team, Rennes, that will be scrapping in or around the French Ligue 1 relegation zone. So much the better. If Kone goes too, I’ll shed few tears. But again as I write, I don’t know who is going, other than the fairly useless Papy, and who may be coming. Jonny Williams: the Crystal Palace attacker looks set to move to the Stadium of Light on a season-long loan having spent time at Ipswich last season. With bags of Championship experience and a strong international career behind him, Williams could be a smart acquisition by Simon Grayson. Jonny Williams, Marc Wilson and Callum McManaman are due on Wearside for medicals this evening. Simon Grayson is set to seal the triple swoop and add some much needed depth to his squad. That is likely to be Sunderland’s business done with regards to in comings, meaning the Black Cats miss out on another striker. Tonight’s business will give the Sunderland boss greater flexibility in his squad, with McManaman addressing an obvious lack of pace in the wide areas. With Sunderland only able five loanees in any one matchday squad, it is understood that one of these deals is a permanent transfer. Wahbi Khazri’s loan move to Rennes will be confirmed before the 11pm deadline, but Lamine Kone is set to stay at the club. McMannaman is a heck of a player IF his head is right…Frozen out of WBA for past couple of seasons by Pulis…Once Pulis loses faith, no return….Will be intriguing with him and Cattemole, who gets first booking each match! Keep checking the Echo rolling blog – this is the link – and even the slower-to-report club site and you can let us know what has happened and what you think of it. Given the weight at which we seem to be punching, are we looking at comfortable midtable as the highest target? Or can a team exposed by Leeds and taken apart by Barnsley make a serious challenge higher up the table? Monsieur Salut is off on holiday to Corsica. Just a week and there’ll be postings here while I am away – the Sheffield United Who are You? and Guess the Score should appear on Wednesday and Thursday of next week. And John McCormick has something up his sleeve, not to mention the latest magic of Pete Sixsmith and his “First Time” series. The Leeds\Barnsley results confirm what we already knew. It’s a tough league where anyone can beat anyone. Those who have gone have offered nothing this season. The new additions can only help. If McManaman allows Watmore to play through the centre with Vaughan in a little n large combo that has potential. There’ll be upsets. How does Leeds beating us rank as an upset? Is it England losing to the Windies or Bangladesh beating Australia or Iceland beating England at the Euros? None of these. They’re a good side and Alishko was on fire. Barnsley weathered the storm then outworked us. All in all whilst we won’t be challenging for the top two places I suspect we’ll be OK. Whether OK is acceptable is another argument. Either way the new recruits will help. It looks very much as though the prospective club take over was affected by the debt and the wage bill. Grayson’s task was to drastically reduce both and that he has done. Hopefully, this will make the club more appealing and we will get movement soon. I think that’s Short’s game plan . Decent enough business but we’re short upfront. Watmore and Maja to return, we may have enough until January…..
Like every season for the last few years we’ve managed to acquire mediocrity in depth. The club’s sole ambition now is to stop the rot. Grayson might well be able to achieve that but he has little chance of going beyond this aspiration. Short wants his money back. Any thoughts of achieving this through success on the field have now been replaced by a plan to slowly strip every last piece of meat from the bone, whilst the loyal fans witness the football equivalent of a zombie living death. Thanks Ellis, you’re an absolute hero. Not going to argue about the mediocrity of some of our signings. But glad we are bringing more of our youth yeam through. Glad agents aren’t being fattened. Glad we’ve got a plain talking manager. The debt needs to be sorted whether Short stays or goes….look at what happened to Leeds a few years back. A month or so ago people were worried that we’d drop again. Less so now. So far SG has been astute in the market. This deserves some credit. To get promoted, you need to lose less than 8 games, and win more of the rest than you draw. We can still do that. We have got rid of another three (albeit on loan) who can’t be arsed and replaced them with three who have points to prove. Still missing a goalscorer, but a serious investment in Jan might get us up.